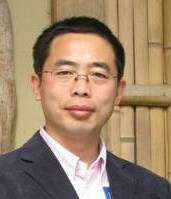 Full Professor of Civil Law, School of Law, Tsinghua University (Beijing, 2005-present); Director of European and Comparative Law Center, Tsinghua University (2009-present); Vice-Chief-Editor of Tsinghua Law Journal (2010-present); Associate Member of International Academy of Comparative Law (2007-present); Specially Appointed Professor, the Law Institute, Chinese Academy of Social Sciences (CASS, 2005-present); Council Member, Civil Law Research Association of China Law Society (2004-present); Arbitrator of Beijing Arbitration Commission (2005-present). Visiting Scholar at Max-Planck Institute for Comparative Private Law (Hamburg) from October 2006 to September 2007 (with a Scholarship of China Scholarship Council) and from June to September 2009 (with a Scholarship of Max Planck Society) HIF Research Fellow at the Faculty of Law, Hosei University (Tokyo, Japan) from October 2000 to September 2001 (with a Scholarship of Hosei International Foundation). 2001.1-2005.11 Associate Professor, Law School, Tsinghua University. 1999.9-2000.12, Associate Professor, Law Institute, Chinese Academy of Social Sciences (CASS, Beijing, China). 1997.7-1999.8, Research Assistant, Law Institute, CASS. 1. Contact Law (2010), Higher Education Press, China. 2. The Law of Contact (2008), 2nd ed., Law Press, China. 3. Obstacles for Performance and Contractual Remedies(2006), Law Press, China. 4. The Law of Contract (2004), Law Press, China. 5. Studies on Damages for Breach of Contract (1999), Law Press, China. · Books Edited or Co-authored: 1. The Draft Civil Code of the People’s Republic of China (ed. by Liang Huixing, 2010, co-author), Martinus Nijhoff Publishers. 2. Contract Law (2010, 5th ed., co-author and subeditor), Law Press, China. 3. Contract Law (2009, 2nd ed., co-author), Higher Education Press. 4. Studies on the Law of Obstacles for Performance (2006, editor), Law Press, China. 5. Studies on Legal Institutions Securing Obligation Relationships (2004, co-author), Tsinghua University Press. 6. Civil Law Salon, Vol.2 (2004, editior), Jinqiao Culture Publishing Co Ltd (Hong Kong). 7. A General Theory of Contract Law (1999, co-author), Law Press, China. 8. Contract Law Theories and Cases (1999, co-author and subeditor), Jilin University Press, China. 1. Liabilities in Contract Law of China: Their Mechanism and Points in Dispute , in: Frontiers of Law of China , Volume 1, Number 1, Higher Education Press, co-published with Springer-Verlag GmbH, January 2006, pp.121-152. 2. China, in: Franco Ferrari (Ed. ), The CISG and its Impact on National Legal Systems, sellier.european law publishers GmbH, Munich, 2008, pp.71-92. · Studies on Exemption Clauses, (1994), Civil and Commercial Law Review, Vol. 2. · On the Modernization of Chinese Civil Law, (1995), CASS Journal of Law, No. 4. · Anticipatory Breach and Chinese Contract Law, (1993), Co-authored, CASS Journal of Law, No. 3. · On the Duty to Mitigate, (1997), CASS Journal of Law, No. 1. · Non-pecuniary Damage and Contractual Liability, (1998), Law Science, No.6. · A Preliminary Study of Damages for Breach of Contract, (1998), Law and Social Development, No.5. · Causation in Composing of a Contractual Liability, (1998), Law Science, No.6. · On Assessment of Damages for Breach of Contract, (1998), Jurisprudence Frontiers, Vol.2. · The Scope of Damages for Breach of Contract in Common Law, (1998), Tsinghua Law Review, Vol.1. · Adverse Fault and Contract Responsibility, (1999), Studies in Law and Business,No.1. · On Fundamental Breach, (1999), Civil and Commercial Law review, Vol.13. · On Default of the Creditor (1999), Law and Social Development, No. 3. · Change of Circumstances: the Approach of Civil law and a Chinese Response, (2000), Peking University Law Review, No.4. · Seller’s Guarantee Liability on Defects of Object and China’s Contract Law, (2007), China Legal Science, No.3. · The Dutch Civil Code (Chinese translation version) (1992) (Book 6, General Part of the Law of Obligations), Civil and Commercial Law Review (1997), Vol. 6. · The Principles of European Contract Law, (1999), Civil and Commercial Law Review, Vol.12.